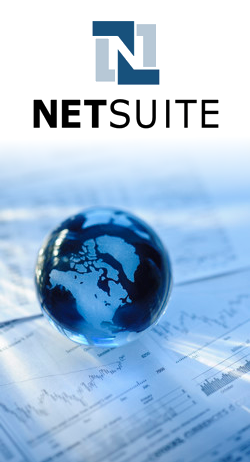 NetSuite OneWorld is the number one choice of cloud ERP solutions for global businesses. Manage multiple subsidiaries, business units and legal entities from a single cloud-based ERP system, accelerating financial consolidation and visibility while seamlessly handling different currencies, taxation rules and reporting requirements. Instant visibility from corporate to subsidiary level. Real-time financial and operational consolidation. Flexible customisation to meet the needs of every subsidiary. Rapid, cost-effective deployment to every business unit. Manage your back-office operations globally and locally with multi-currency, real-time financial consolidation, enforcing standardisation across your organisation. Gain immediate insight into every aspect of your multinational sales operation, including quotas, forecasts and campaigns, regardless of language or currency differences. Conduct worldwide eCommerce with multi-region, multi-language, multi-currency and multi-brand webstores, all run and managed from a single NetSuite platform. Give your global services business end-to-end, real-time visibility with NetSuite OneWorld SRP, from corporate to individual project level. With global financials, resource optimisation and services management capabilities. Make better, faster decisions on a worldwide basis with NetSuite OneWorld, using real-time corporate, subsidiary and detail reporting.